When purchasing new furniture for your home, you may not always find exactly what you’re looking for. Perhaps the sofa is too soft, or the chair is not in a material that will suit your décor. In these situations, looking for the custom-made pieces can be your best bet. Add Your Personal Touch – Searching stores to find furniture that matches your style, as well as your needs, can be difficult. By making use of custom furniture pieces, you can be sure that each item you purchase will meet exactly the need you have while providing hints of your unique tastes. Get a Good Value – Some people may feel that going the custom route for their furniture may be too expensive for them. This isn’t necessarily the case. While the initial cost may be more than you would pay for mass-produced items, when you compare the quality of material and construction as well as the lifespan of a custom crafted piece, the value is much higher. 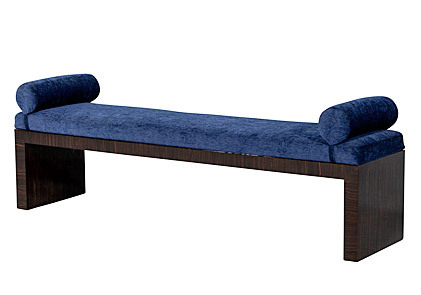 Suit Your Needs – If you require a firm couch, certain materials to stand up to children or pets, a large table for your family gatherings, or want to change the legs of your chairs, custom pieces are an excellent solution. You can select your choice of fabric, frame, make adjustments to the firmness, pick the colour to suit your décor, and be updated on each stage of the process. 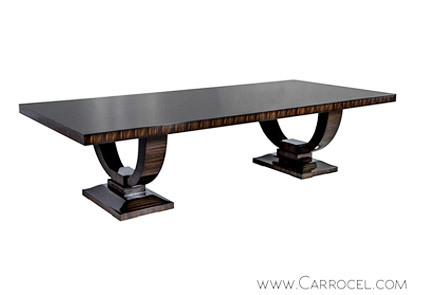 Carrocel has a wide selection of customizable furniture pieces for your home. We invite you to visit our 20,000 square foot showroom, located at 245 Bridgeland Avenue in central Toronto. There you will be able to speak with our experts to get more information about our process and view our other pieces to gain inspiration. For a more in-depth selection, please see our online catalogue.